Confusion, anxiety, fear, and excitement. These are feelings I can imagine having as a new immigrant to America. 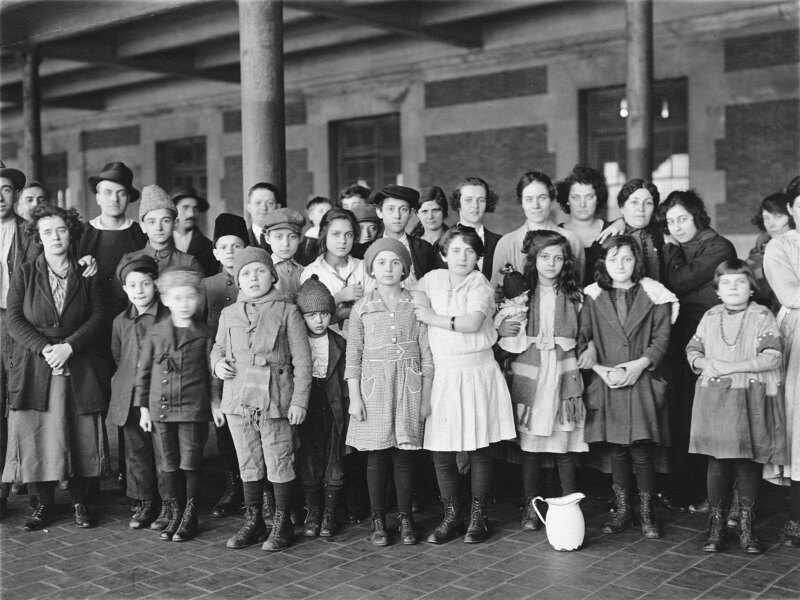 All these emotions are evident in the faces of these immigrants at Ellis Island. Standing on the corner of E. 23rd St. where it intersects with 5th Ave. and Broadway, the pressing needs of food and shelter would be the first things on my mind, especially if I was a mother. When considering what to do and who to ask for advice and help, I would rely on my gut instinct. Your gut instinct. This is what I imagine brought a majority of the hundreds of thousand immigrants to America from the late 1800s to early 1900s. Thinking about the decision to move to a new country with the hope that life will be better had to be terrifying, especially for people during the late 1800s. They may have just heard from a friend of a friend that their cousin had a good experience immigrating. To make a life altering decision like that, I would have to have more than just hope that life would be better. I would have to feel like it was truly fate calling me. I would have to feel it in my gut. That being said, I would seek out a person who looked reliable and trustworthy to ask for advice, preferably who spoke my language. I would ask them for help in finding a settlement house worker to help me find a place to stay. In all these scenarios, I would listen to my instincts when making decisions. Today, with the help of all the modern technology at our fingertips, I think it would be much easier to move to America. Some barriers would still be the same, particularly the language issue, but in general I think there would be a lot more information at your disposal. Again, even in this day and age, I think relying on your instincts is a good way to go. An article in Newsweek from November 20, 2007 says just that. Here’s the link… http://www.newsweek.com/2007/11/19/less-information-is-more.html . In any stressful or new situation, there’s definitely something to be said for trusting your gut. 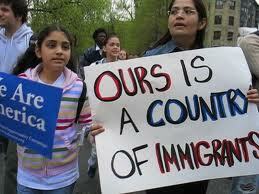 Especially as an immigrant, when you don’t speak the language, this is all you have. Above all, I would remember that America is a country of immigrants, and trust that I have the ability to thrive.